Windows will now show a New Hardware Wizard to install the drivers. Lets see in details how we can fix this problem. 1. 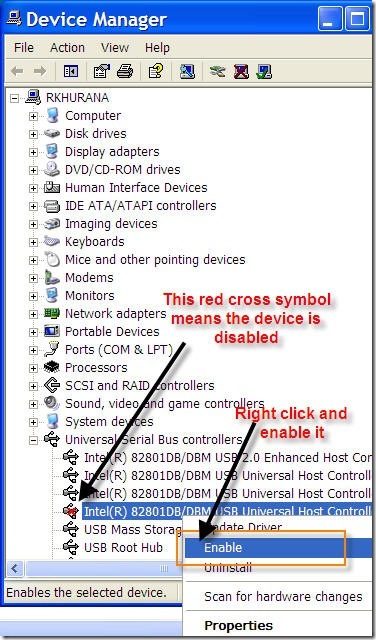 By Disabling USB Ports from Device Manager. 2. By Tweaking Registry values for USB Mass Storage Devices. We will see how to fix all these situations one by one. But before you begin, you must have administrator rights on that computer to fix the issue. If you don’t have the rights, see this post on getting admin rights on windows computer. Lets go one by one for the solution now. i) Go to Start > Run, in run prompt type “devmgmt.msc” and press enter. This will open device manager. ii) Go to Universal Serial bus Controller. See if there are any red colored cross? If yes, right click and enable those USB Ports. Now try and use the pen drive. If it works fine, then great, else read the next two steps also. i) Go to Start > Run , type “regedit” and press enter, this will open registry editor. 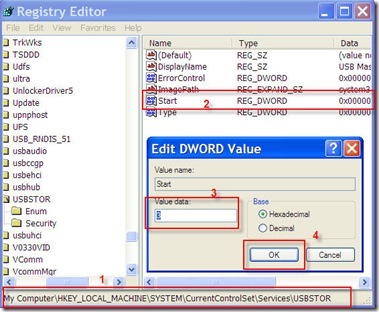 iii) Double-click on the “Start” key to modify its value, change the value to 3 and press OK.
Now remove and connect the pen drive again, it should work fine, if it does not, then it means the drivers are missing. Follow the steps below to solve the issue. In case the USB Mass Storage drivers are not installed, windows will prompt you to install the driver. 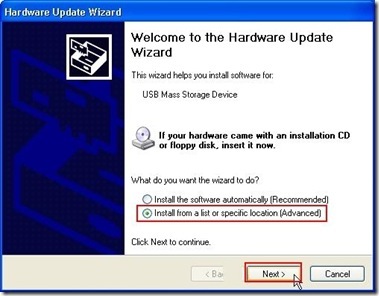 In such a case, windows will launch Hardware Update Wizard. If you have USB Mass storage drivers, you can install it and restart the computer, it should work. 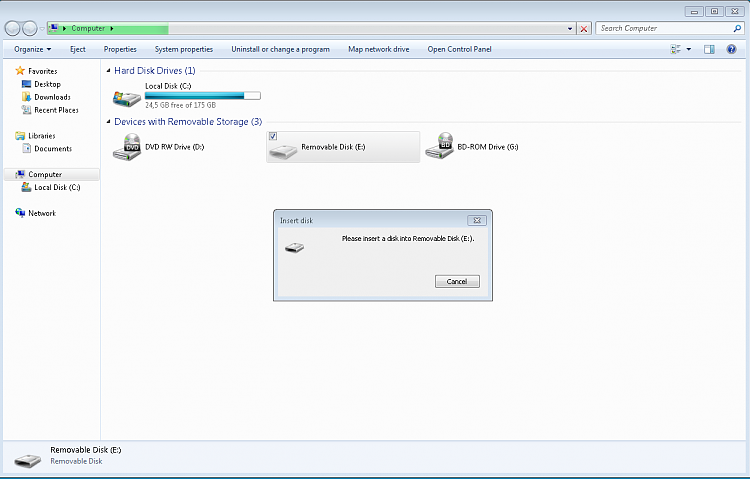 If not, you can download the USB Mass Storage drivers here. Download and uznip the driver files on your desktop. 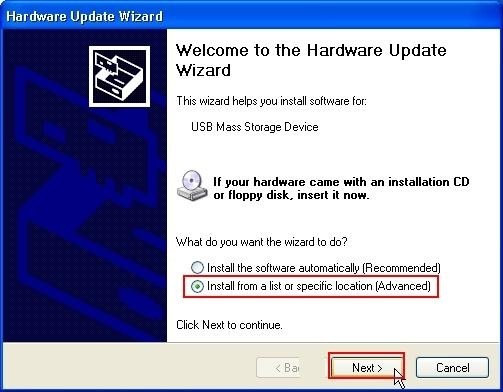 i) In hardware update wizard, Select the option to install the driver from a specific location and click next. ii) Now on this screen, click browse and select the path on which you have un-zipped the drivers and press ok. 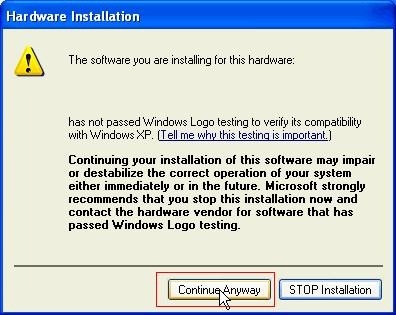 NOTE: Windows may give you a warning that the drivers has not passed Windows logo testing, so stop installation or Continue anyway, Select Continue anyway to complete installation. Now restart your computer and re-insert your pen drive, it should now work. then rightclick to enable that but i will not get enable option. only im getting “properties” option. then find out which port you need to use in your college system. Now you get a “USB ROOT HUB PROPERTIES” windows . Now you clik a “General Tab” in a “USB ROOT HUB PROPERTIES” windows .In the Bottom of this window you will get a “Device Usage” option.Here you can set the “ENABLE ” option. I have a problem with USB Flash port, our IT administrator has been blocked our USB port because of virus. now i can’t able to install any software and i can’t bring any changes in my laptop because i haven’t sufficient right to do, so please help me how can i will able to enable my USB port with these all restriction. Thanks a lot abhishek..I badly needed this.. I cant install win98 pen drivers kingston/DT100/4GB. 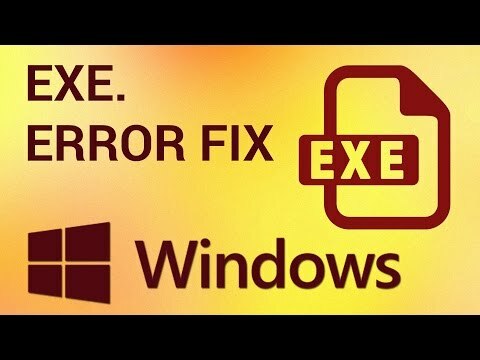 how can i change any registry problem. i am using a company provided laptop but recently company has installed a symantec antivirus thru this software they block a pen drive access. i tried to qctivate it thru Registry but thru registry its alrady enable. I am using company owned laptop but administeator hass disabled my Pen drive access. i have used regedit technique but still pen drive is not working.They recently updated symantec Antivirus in my system and by using antivirus they block our access. 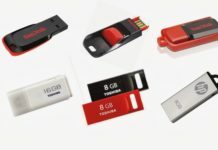 I want to know is is possible and if so how to connect the pen drive directly to the mobile to use it as memory card directly and access the files directly. 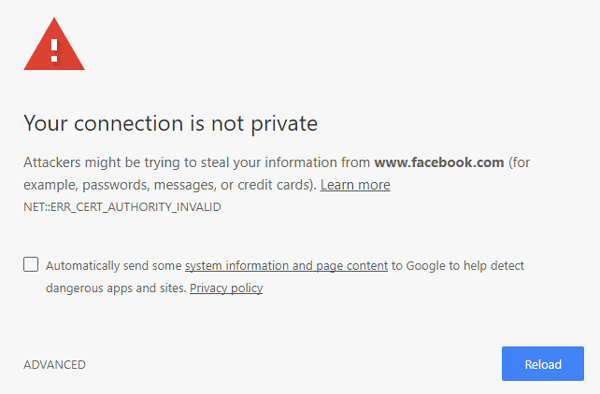 I tried, but it is not accessing. Pls. explain. Thanks. i’m not the administrator of the computer…i have a limited account.. I have given the location of the usb drivers by using your zip file. I have updated the registry entry also. USB does not recognised in win xp. I have a problem with USB Flash port, our IT administrator has been blocked our USB port because of virus. now i can’t able to install any software and i can’t bring any changes in my comp because i haven’t sufficient right to do, so please help me how can i will able to enable my USB port with these all restriction. Firstly I thank your valuable info. Our IT administrator has recently locked the USB ports in our network, so the devices are readable ot writable, besides when I wanna change the device managers settings it alerts that the user does not have enough autority to modify the setting, I beleive we are out of access to the registry am I right? pls. let me know if there is a way to write on the flash memories? When I try saving something to my flash drive a error message pops up that says “this is write protected”, and it will not let me save anything to it. I also tried updating my ipod and a message came up saying something similar, and would not allow my ipod to be updated. Someone please help! Above method does not work with my laptop. I am Using Company Laptop. I am working in a school.I am using school computer.When I insert my pendrive i can copy data from the pendrive to hard disk.But i can’t copy any data from hard disk to pen drive. The school has installed Symantec Endpoint Protection and using this have blocked pen drives on all school computers. Please write to me promptly. My company has blocked Pend drive on USB port. When I insert it, the massage ” access is denied” display. Let me know how to unblock? I m having a problem with USB Port. When i insert pen drive in my college computer then it appears the black screen and show title that USB lock and PC will shut down in 20 second and if i keep inserted pen drive it shuts down otherwise not. Is thare any way to hack this ? Is thare any way to fix this ? I want to enable the usb port of the computer of our office. The registry editor tool has been disabled by the administrator. Even the ports are not shown in the divice manager. The command “gpedit.msc” also does not work. It shows the message “you do not have permission to do the action”. Please help me to solve this problem out. I have checked this all things already and every setting is perfect. But I am using Symantec Endpoint Security as my antivirus which has policy to block the usb mass storage.please let me know how to unlock it.M going mad to solve this. I have a 4 GB pendrive of Iball.It contained an application using which I hid 3.95 Gb of the pendrive.This secure area could be opened only using that application.Now I have lost that application. I have tried a lot of tricks, but none could unlock it. Is there any way to unlock it again. nothing is work without admini plzz teelll something…. Symantec every time blocks my transcend mass storage device at my work place. tried using device manager/regedit/gpedit.msc. notihng really works. guys….can anybody help me please! i am using a moserbaer 2gb pendrive. Whenever i insert the pendrive it starts installing it’s driver but doesnot find it’s driver anywhere. The usb device is also recognised as a unknown device. Kindly help me to sort out this. (at the right bottom corner) prompts “The Pendrive and the harddisk is blocked”.Please help me how to enable the USB port back. my pendrive is not working and did not show pendrive in my computer folder. whenever i plug in my 4GB pendrive of kingston it show like 1) Found new hardware. 2) USB mass storage device. 4) Found new hardware wizard comes but it didnot find any drivers after trying so much. 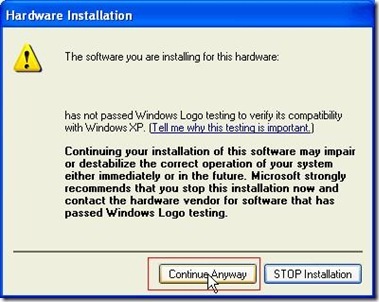 i m using windowxp professional. i want to mention here that this problem was occured when i scanned pendrive with quick heal antivirus. plz suggest me solution. thanks to all the experts. please help me to solve this problum. I have been browsing through many links on this problem. It is resolved by installing the drivers. Need to know a way to enable the flash drive which has been disabled by the Symantec Endpoint Protection..
updating option or internet connection in our college lab… Plz help me to connect the pen Drive. 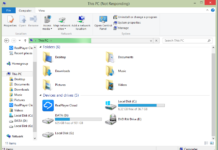 when i am putting a pen drive in the sb port of my office computer it is not recognized by the system and it is not opening in my office all the system is controlled by a server named winserv and the operating system being used is microsoft windows server 2003 64 bit edition……..what should i do????? when i click on usbstor,on the right hand side i dont see the option start,plz help. In my organisation USB access is blocked by SEPM antivirous by policy.I want to make it full control on my system.Pls help me what is the procedure for the same?I can access USB from safe mode but i want it on user mode. but when i run my in “Safe Mode” UBS is working perfect. what might be reason of getting this error? FYI: my USB port isn’t blocked by admin. I have all rights to use it. looking forward your sooner and hopeful reply. 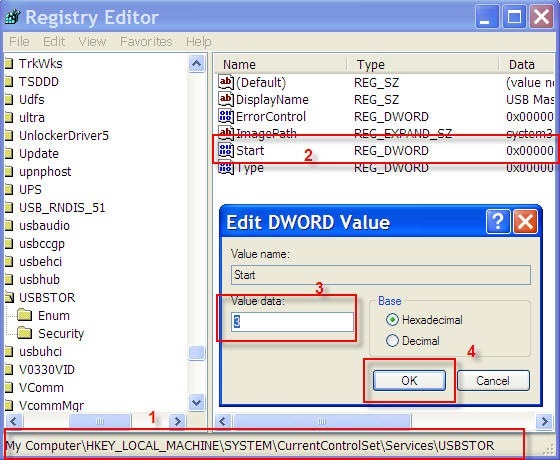 regedit-hkey local machine-system-current control set-services- usbstore- click at start- change the value from 3 to 4-and enter it. the usb drive will be blocked. MY MOSERBAER company pendrive(4GB) not working in any PC..
For those who want to enable pen drive through Symantec….. Your tip works for me.. I m having 1 terabyte external hard disk. When i delete data from the hard disk, Data is deleteting but the memory size is not reducing. Eg: 500GB is filled(500GB Free) . I have deleted 100 GB data ,so the free memory should be 600GB but it is still showing 500GB free memory. when my using his pen drive to office pc then its working but when i m tring for my pen drive , its not working, even not giving any massage, its not showing anything, but when when i am using it in other pc same pen drive working properly….what i can do…i need to get data from office to home…..pl pl help me out…. Whenever all these things are blocked and the ways that you are mentioning ….all of em require admin rights…suggest some wise ways keeping in mind the situation. 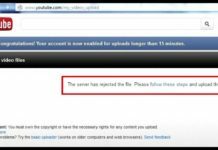 how to enable pendrive access blocked by kaspersky end security in my college……..? I am viren and my office uses the LAN system which is secured by Cyberoam client. All the computers are installed with xp service pack 2. Recently they have disabled all the usb jacks for limit the use of pendrives. But the usb are functional for other devices like mouse etc. I know that pendrive were functional until recently but they are disabled by the IT department due to some problem of misuse of system resources. The IT people have reopen some compute’s pendrive once the executive obtain a special permission from the CEO. I donot want to mess with the CEO can you help. In my networked PC, USB pen drives are not opening, as it a appears that blocked by administrator through Symatic end point protection. Pl help to enable the USB port.